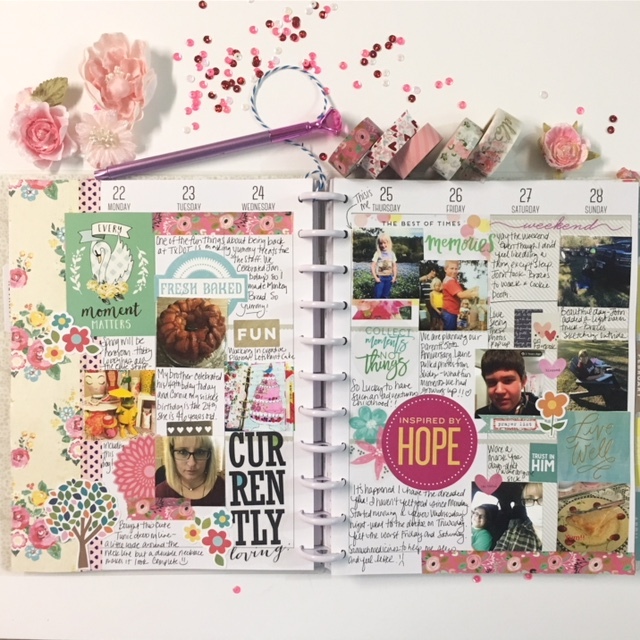 What’s fun about the Happy Planner is it has a place for important dates, plans, and current events or what is currently happening at the beginning of each month. Surprisingly ,I didn’t take as many photos this week, I think is was due to the fact I started a new job which requires a hour commute to and from Austin and having symptoms from CEDAR fever! UGH! We celebrated my daughter Brazos’ birthday this week and quite possibly we celebrated the entire week! This week was the start of Girl Scout Cookie Season and starting and finishing a Science Fair Project. 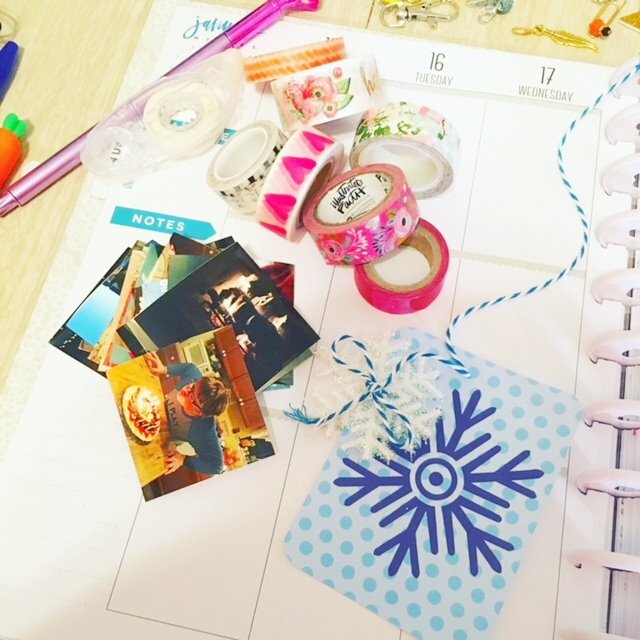 This was such a cold week, I used paper snowflakes punched out from a Daphne’s Diary Magazine and added twine with a sparkle snowflake to add a bit of dimension. Love that I took lots of photos this week! This was the week I had the flu..wah! It was awful! However, my sister was looking through old photo slides for my parent’s 50th wedding anniversary and she sent me all these fun photos from when we were kids, so I added them into this weekly layout. That’s a wrap for January. 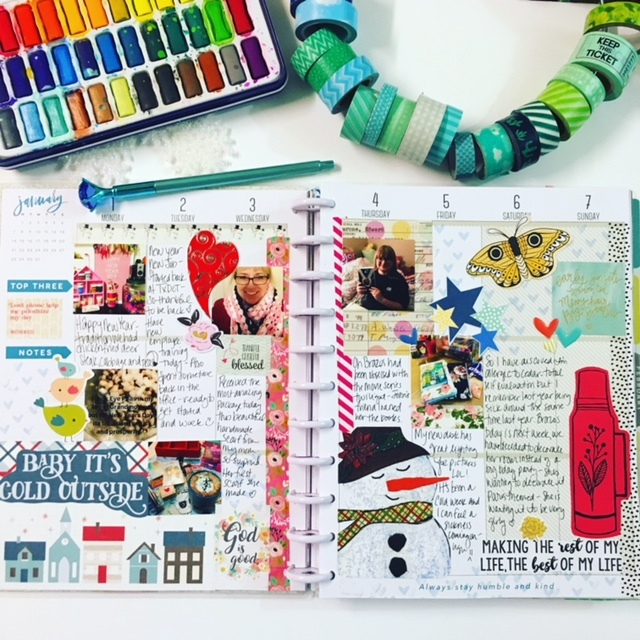 I hope to film a process video soon for documenting in my Happy Planner, so stay tuned! Hello! 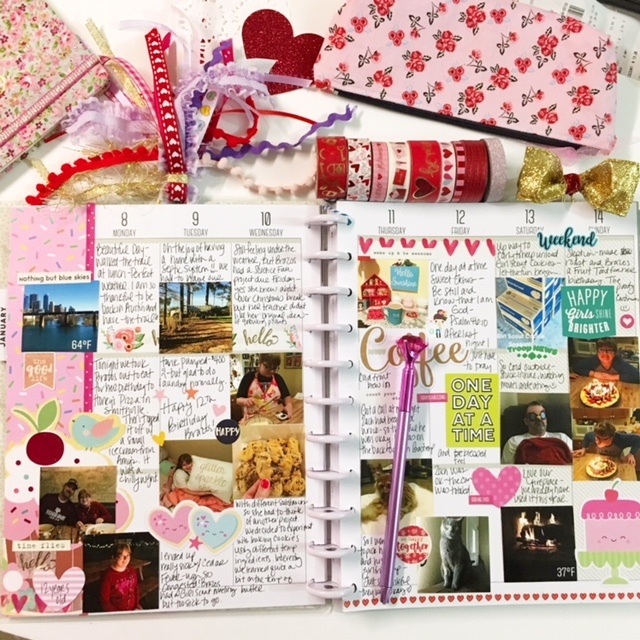 I’m so excited to show you my creative business planner set-up. 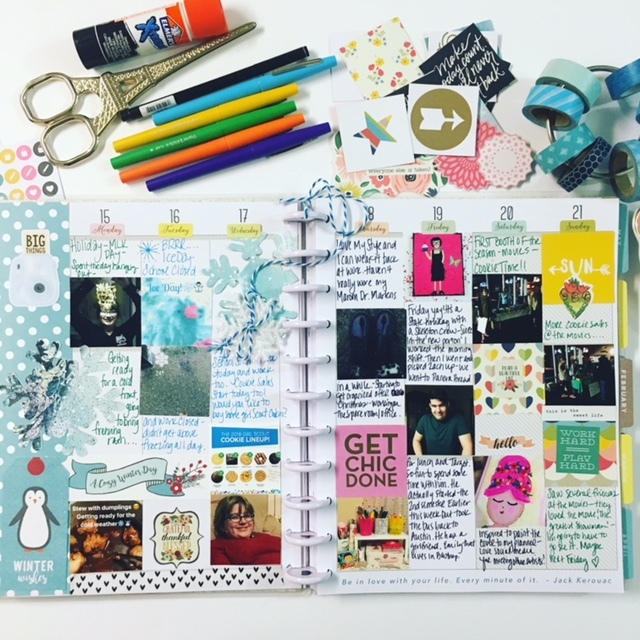 This planner is filled with inspiration and eye candy for me to dream and plant ideas for my creative business. 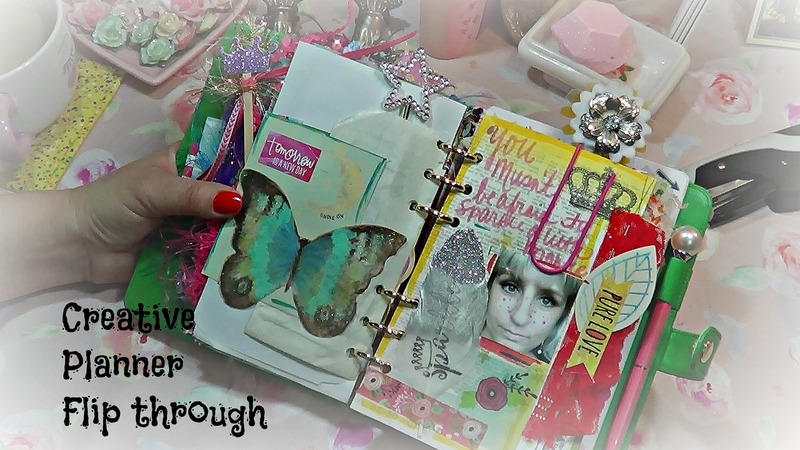 Unlike my everyday planner, I’m filling this one with lots of ephemera and pretty papers to inspire my creativity. In the video, I talk about goals and plans I want to work on to build a stronger business as a creative entrepreneur. Hello! It’s been a while since I posted a video mainly due to being sick almost the whole month of January and February is just flying by! 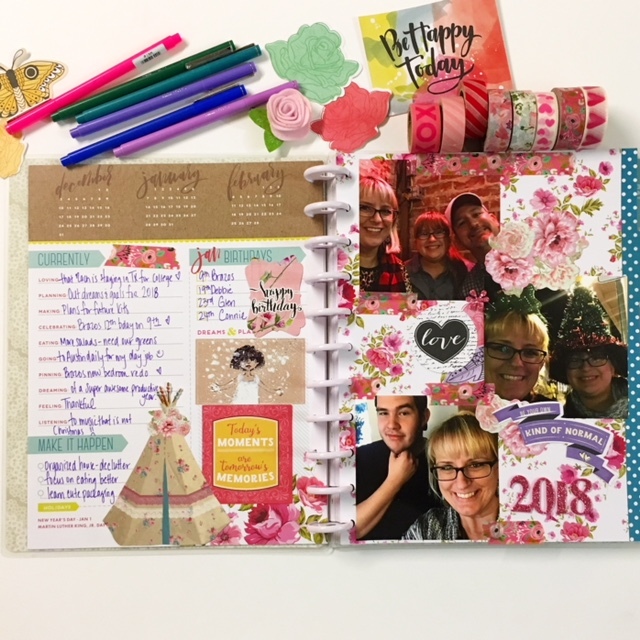 I recently spent the weekend at my parents hours to celebrate their 50th Anniversary and posted a photo of my journal supplies on instagram. 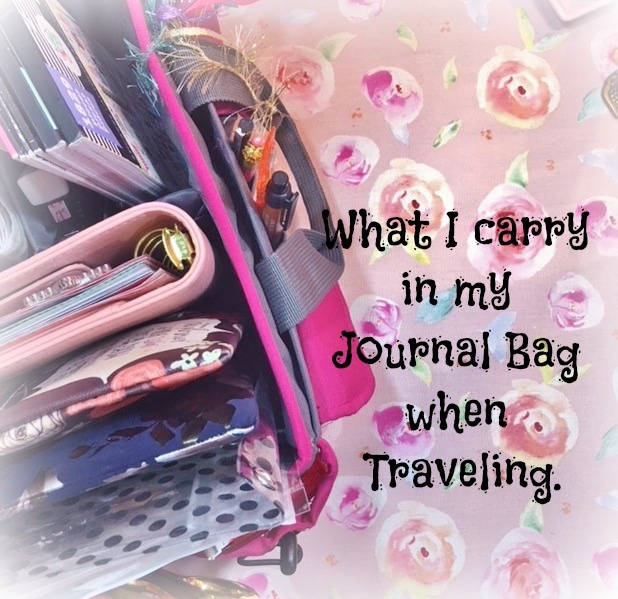 There was a request to create a video to show the supplies I travel with, believe me when I tell you I use to bring the kitchen sink! I have learned to minimize especially for trips that I may or may not get a chance to be creative. If I was to go on a crafting weekend, I probably would still carry the kitchen sink lol! Oh Wow! Valentines is two days away! 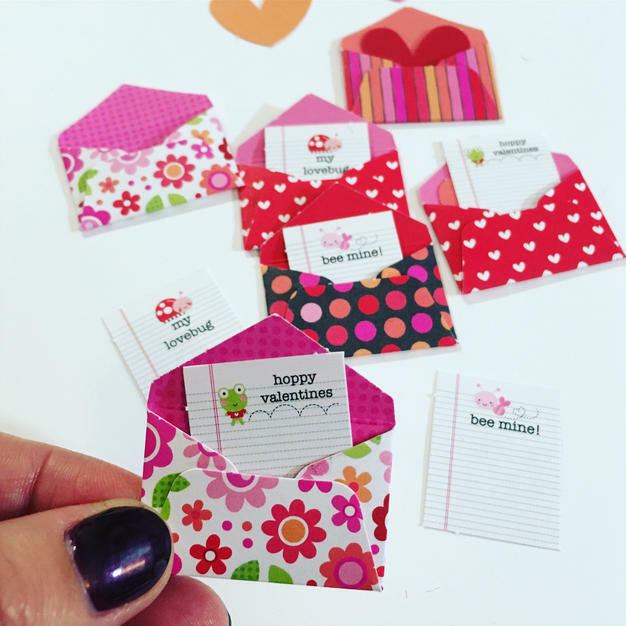 Have you mailed your love letters to your friends, family and sweetheart? 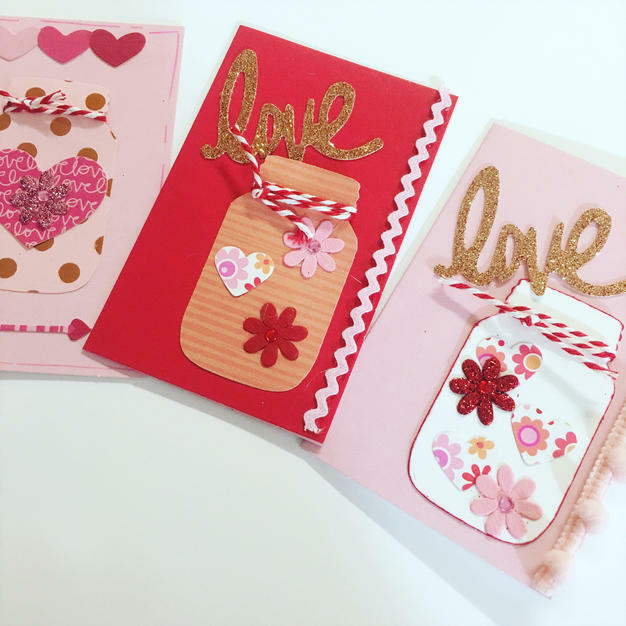 This year the planner group, ATX Planner Addicts, exchanged Valentine Happy Mail, so it was fun having someone to send some sweet sentiments to. I wanted to create something that would easily fit into an envelope and ship well. 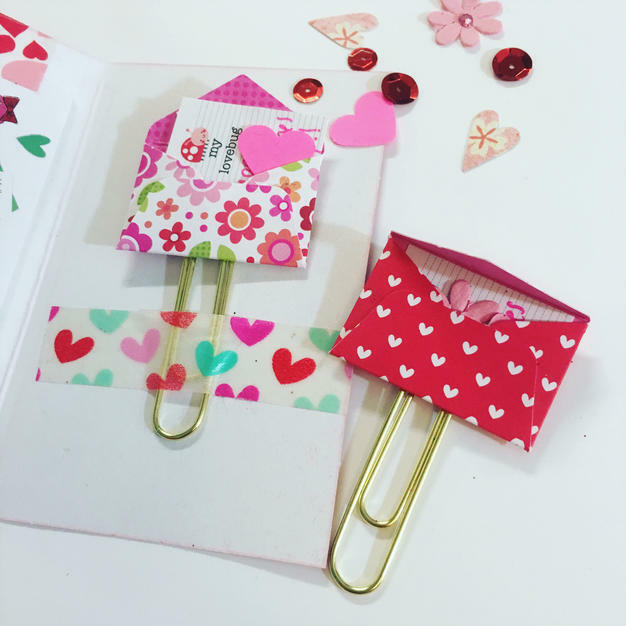 I actually got the idea from an Esty Shop called a Pocketful of Sparkle, making envelope paperclips! I used the mini envelopes that came in the February Planner/ Stationery Kit. I attached the paperclip to the inside of a mini card I created using a Jar shaped punch. The jar I filled with flowers and tied a piece of baker’s twine for the top. Packed then up in pretty little envelopes and added a tag I found in the bins at Target in the Dollar Spot area. 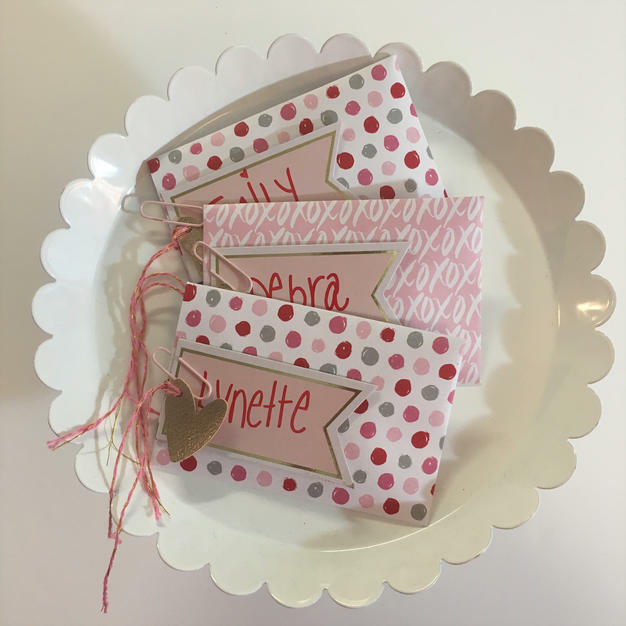 These little letters were made with LOVE and I hope the recipients enjoyed them as much as I enjoyed making them!